Photo shoots, a private concert by FM LAETI and jewelry sold in aid of the children’s charity Action Enfance — at the Hôtel d’Evreux on the fabled Place Vendôme, 250 guests celebrated Maison Poiray’s fortieth anniversary and its longstanding commitment to the foundation. A prestigious, enchanting evening, designed and orchestrated by Terre de Sienne Events. 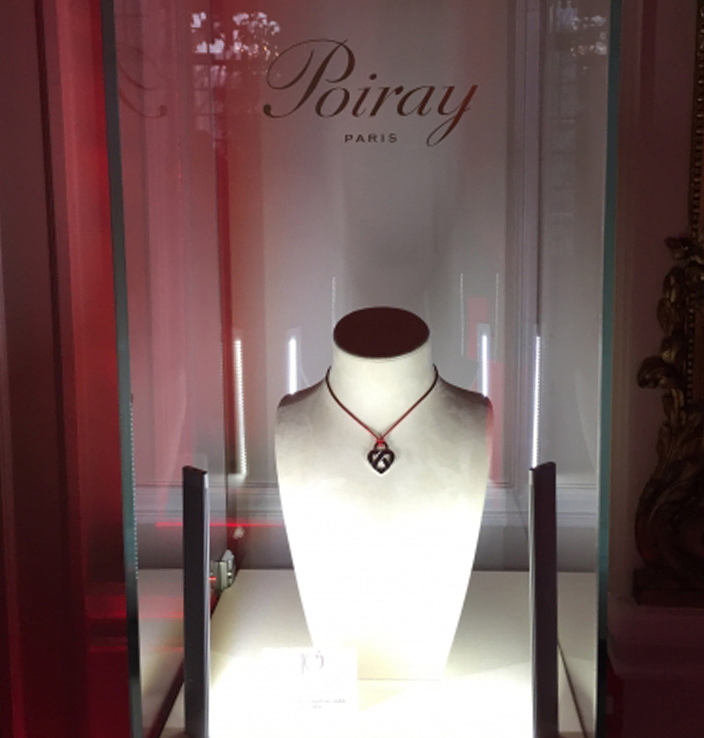 To celebrate 40 years of the Poiray brand, the house unveiled a pendant to benefit Mécénat Chirurgie Cardiaque, a pediatric heart disease nonprofit. For the launch gala, Terre de Sienne created a ruby-tinted event evoking passion, conviction and life, held in the prestigious setting of the Mona Bismarck Foundation. Some 200 carefully selected guests — customers and partners — enjoyed a performance by the talented singer Ayo and took part in otherworldly activities that made the evening a fun-filled event, all in support of a good cause.